Pancreatitis is inflammation of the pancreas, the large gland located behind the stomach. People with chronic pancreatitis have persistent inflammation of the pancreas that leads to permanent damage. The main function of the pancreas is to produce digestive enzymes and hormones, such as insulin, that regulate blood sugar levels. Damage to the pancreas can cause problems with digestion, absorption of nutrients, and production of insulin. 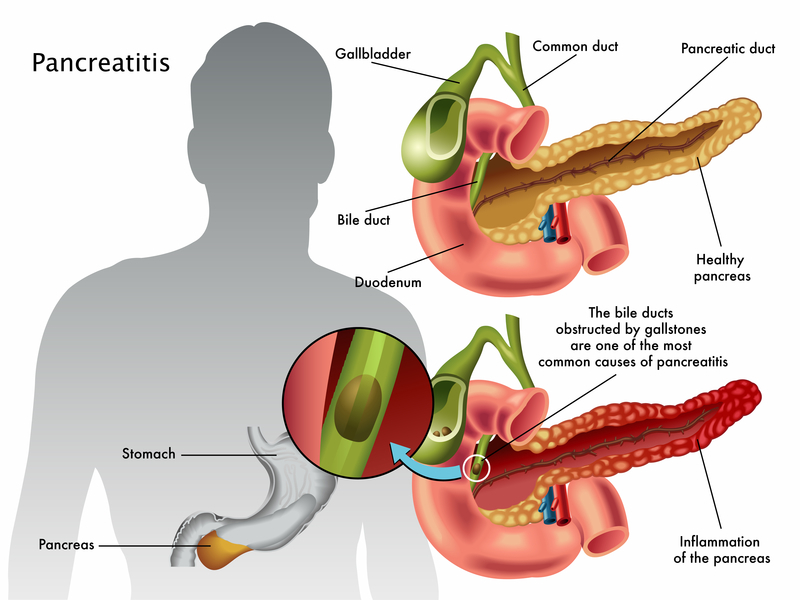 As a result, people with chronic pancreatitis can lose weight, experience diarrhea, become malnourished with vitamin deficiencies and develop diabetes.